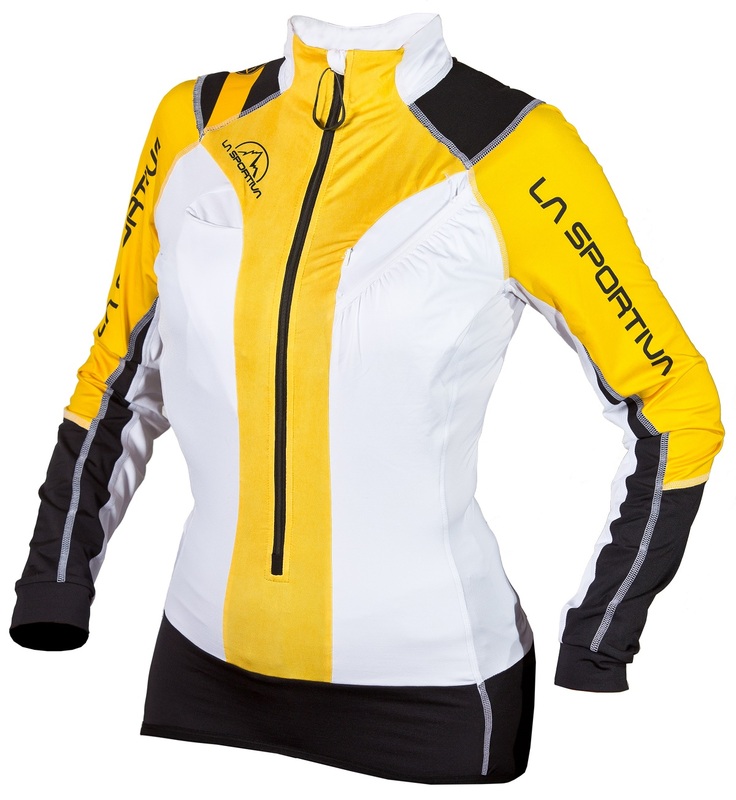 It’s about time some women’s race clothing made its way onto the continent. Now there is one less hurdle for skyrocketing participation numbers. Don’t think the Syborg Racing Jacket can only be used for racing however, as once you become addicted to skin suit functionality, it is hard to tour or train without it. Stuff your skins in the front pocket at the top, keep your hydration from freezing, and have your fuel accessible within inches of its eventual destination (belly). Also, it looks cool. Large pocket for skins on the front left alleviates the need to take your pack off during transition. Comfortable flat lock seams offer a smooth athletic fit with typical La Sportiva style. Bottle holder on front right of the jacket keeps your hydration handy and in liquid form. Reinforced shoulders and ventilated back insert demonstrate the thoughtful design. Transceiver pocket is accessible from the outside so you can access it quickly. Internal compartment for headlamp and belly pockets keep you well organized. Option to match with pants when you’re ready for the next step in fashion. How would you say the jacket fits? I am usually a small. XS in most Patagonia. Would you size up to layer under or use this as a baselayer and potentially layer with a windshell over? I ski race mostly in Co and it is cold sometimes. I am a small in La Sportiva apparel, Arcteryx and Salamon. 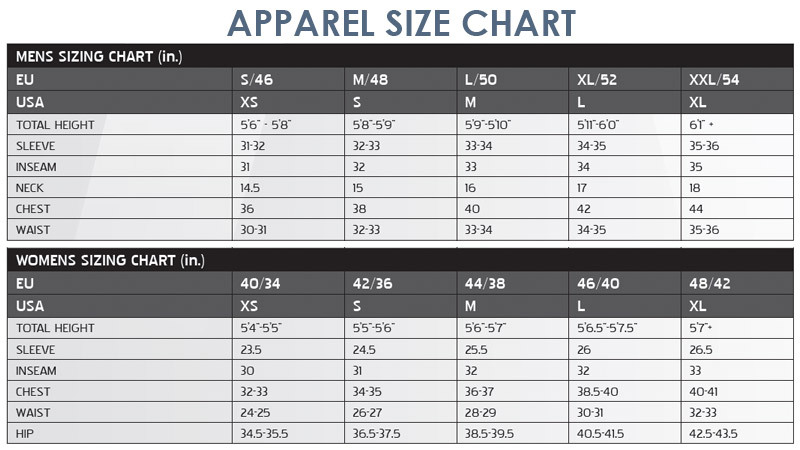 Hi Najeeby, we're finding the size chart to be fairly spot on. These are tight fighting race jackets but you can get a base layer underneath. It's nice to have this as your outside jacket so you can access the water bottle and skin pockets, but having a loose wind shell handy for exposed ridges is a good idea as well.